Hey all! I’ve been busy on my end. So busy, in fact, that I didn’t even notice this IGN interview with Mark Waid until two days after the fact. 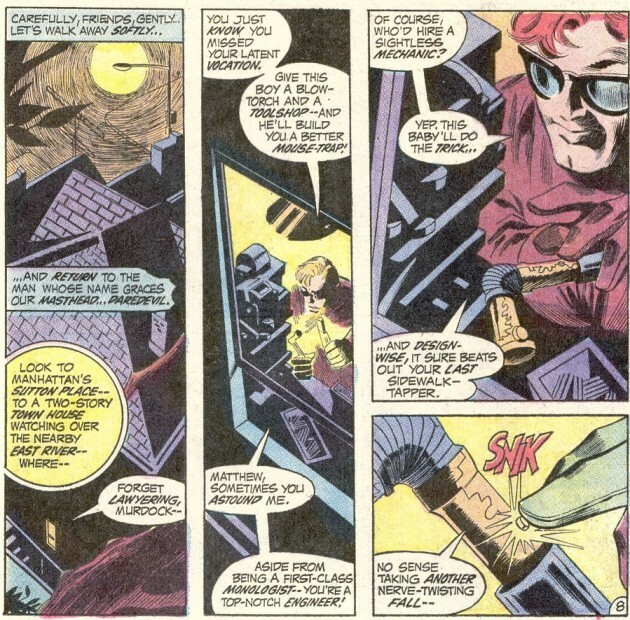 Anyway, before I finish editing the next episode of the podcast, I thought we’d touch bases again with another look at the Daredevil archives. Look back at all the Conway-penned issues of DD — he turned Matt into said monologist! I think the phrase “first-class monologist” explains why he’s talking to himself out loud. That’s what monologists do!